An Alabama company has partnered with a Las Vegas medical practice to treat prostate cancer in a less invasive manner. Vituro Health, a comprehensive prostate cancer care company, has struck a deal with doctors at the Urology Center of Las Vegas to provide the equipment and training for a new medical procedure approved by the Food and Drug Administration in 2015. The equipment is stored and procedures done at the Sunset Surgery Center in Las Vegas. The physicians use a high intensity focused ultrasound technology that’s the latest treatment for prostate cancer with reduced side effects, said Vituro Health Chief Executive Officer Clete Walker. 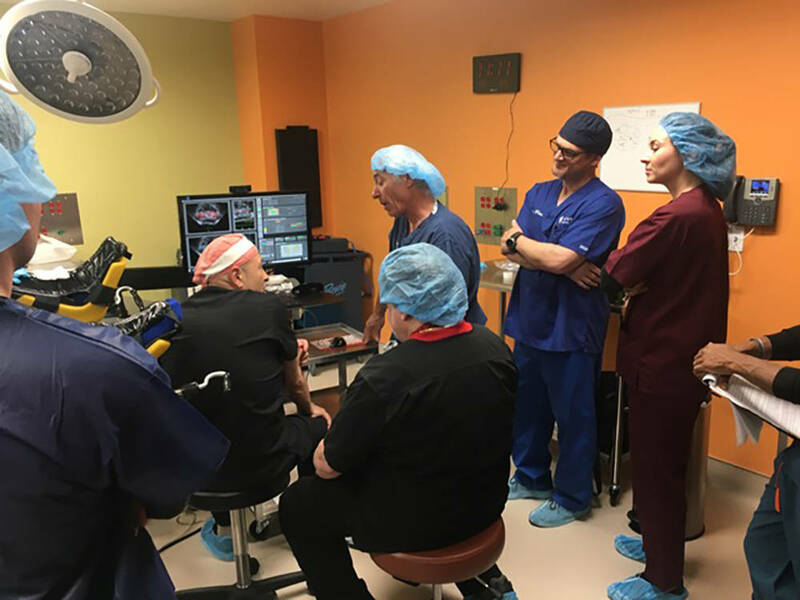 The procedure is considered minimally invasive because it eradicates prostate cancer by precisely focusing sound waves on a target spot, Walker said. The process results in the creation of heat due to the interaction between the sound waves and the cancerous tissue to destroy cancer cells, he said. Michael Verni, a urologist at the Urology Center, said the procedure has been used in Europe, Asia and the Caribbean for a decade, but had to make its way through the FDA-approval process before it could be done in the U.S.
It’s a welcome addition to the options of treating prostate cancer, Verni said. It’s part of a shift in the treatment of prostate cancer that, 30 years ago, was treated by depriving patients of testosterone and amputating testicles, he said. Surgery and radiation are options, but they come with risks of impotency and incontinence, he added. “Those treatments have been involving the entire prostate gland, and if you had a tiny cancer, you had to treat the entire prostate with radiation or with surgery,” Verni said. Verni called it “another tool in our drawer” to pull out when it’s needed, but it’s not a procedure that suits everyone. It’s a specific treatment for specific patients with cancer, he said. The drawback of the procedure, however, is that insurance companies don’t cover it yet. Insurance covers radiation, for example, that can cost $50,000 to $60,000 and exceed $100,000 in some cases, Verni said. The cost of the HIFU procedure is $25,000, which is more attractive to those who are self-insured or are willing to pay for it on their own. That includes the technician, treatment, machine and anesthesia. Walker said there are two companies that manufacture the machines for the treatments. It took the FDA time to approve the procedure because it needed to analyze the data, since prostate cancer is a long-term disease, he said. “We go and partner with the doctors, buy the equipment, facilitate the training of the doctors, provide the technicians and handle the cash collection of the patients,” Walker said. That makes the procedure another option for patients coming to Las Vegas as part of the city’s growing medical tourism trend.